In Terraforming Mars, 1-5 players will each control a corporation, and buy and play cards describing different projects. The projects often directly or indirectly contribute to the terraforming process, but can also consist of business enterprises of different kinds. In order to win, you have to accumulate a good terraform rating and many victory points. This game has some unique game mechanics. 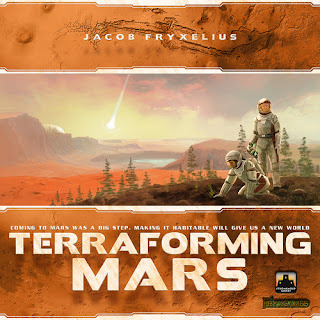 To learn more watch this GenCon video for a game of Terraforming Mars.